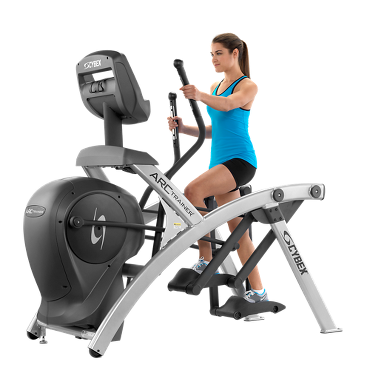 Cybex 525AT is an advanced form of arc trainer that offers the effect of three machines. This unique type of exercise machine uses a user friendly technology and burns more calorie than any other elliptical cross trainer. The Arc design of this total body arc trainer gives fast fitness results and is also very safe to use, without the fear of knee joint pains. *Note: Most of the sites, stores or shopping portals listed above sell Cybex 525AT Total Body Arc Trainer with discounts and other exciting offers. There is a possibility that the some of above websites are not selling Cybex 525AT Total Body Arc Trainer now. Toughtrain.com is not liable for such cases or instances. Also we do not recommend any seller for Cybex 525AT Total Body Arc Trainer and a buyer should buy from where he/she gets best deal with quality of products, service and on time delivery (shipment).